Darrenstyle Cigarette Filters Trap Tar Without Changing The Draw Or Flavor of Your Cigarette Bulk Economy Pack(100 Filters) by Darrenstyle at Serious Jones. Hurry! Limited time offer. Offer valid only while supplies last. 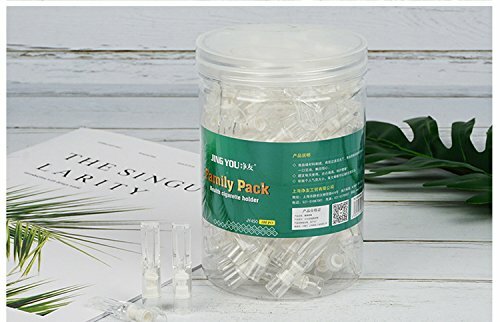 ★Filter absorbs almost 90% of the tar and reduces nicotine，Regular use filters reduces coughing and shortness of breath, relieves sore throat. ★Please identify DARRENSTYLE when buying, otherwise, the products purchased will not be responsible for the actual discrepancy. If you have any questions about this product by Darrenstyle, contact us by completing and submitting the form below. If you are looking for a specif part number, please include it with your message.